Worth Castle is a water castle, located at the Rheinfall, built on a small island in the Rhein river. 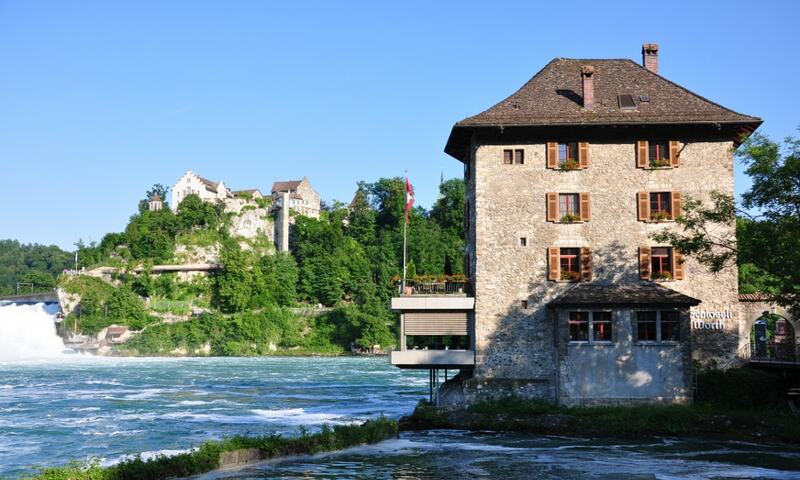 It stands opposite to the Laufen Castle, which is located in the canton of Zurich. The Castle owes its name to the location on a small island, washed by the water of the Rheinfall, which used to be known as Werd, meaning literally a river island.